My BlogHer 12 Brite by Britely and other funny stories! Read “BlogHer 12 NYC” by Calley Brewer Pate at Britely! While in New York this past week I learned about a new website called Britely. 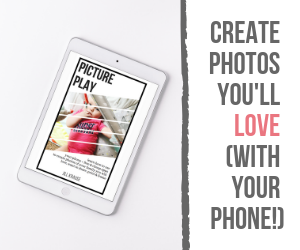 You upload your photos, choose your style, add text, and publish everything into a nice little flip book (Brite) like the one above. I have so many ideas on how I can use Britely so you may see them regularly over the next few months. As for BlogHer, it was amazing as always! This year there were over 5000 attendees and probably the most men I’ve seen at BlogHer yet. If this was your first trip I’m sure it felt a little overwhelming with that many people. Wednesday – Chris and I flew to NYC and arrived at the hotel early. We shared a cab to the hotel with some new friends, one of which was from Tampa. Megan, I Run For Wine, is from Tampa and blogs about running, food, and of course wine. The other lovely that we met in the cab was Kristi from Orange Dragonfly Media. Kristi also has 2 other blogs, 52Wines52Weeks.com and 52Beers52Weeks.com, I can tell I’m going to like both of those! Kristi invited us to a tweet-up at the Roger Smith Hotel later that evening where she was staying. After arriving at the hotel, we quickly checked in and found our friends for the day (um, ok we hung out with them all week), Amanda and Blessing. Amanda is my good friend who writes at The Eco Friendly Family and owns Kaia Magazine. Blessing is a friend of hers (they live near one another) and writes at Think Feminist. Amanda had a friend nearby that wanted to meet up for lunch so we tagged along to Greenwich Village to one of the coolest restaurants I’ve been to in a while, The Meatball Shop. Let’s just say they know their balls! The evening ended up with a trip to John’s Pizzeria with Amanda and Blessing followed by drinks with Gina and John (@FeministBreeder and @HyphenatedHuz) at a bar we’ve been to before but I was too tired to even remember the name of it. Ahhhh…what a great way to start of BlogHer! Thursday – Mona!!! Mona from EcoNuts met us at the hotel and joined us for breakfast at an overpriced cafe around the corner. The food wasn’t even that good and the service was blah! We chatted it up with Mona for hours (both at the cafe and the hotel) until the rest of our possee arrived. By lunchtime we had found Kim, Dirty Diaper Laundry, Amanda, Blessing and Jenny (Conscientious Confusion) and braved the food trucks next door. You can’t go to NYC and not eat crappy food truck food! As we stuffed our faces with Gyros we also took a few pictures (seen in the Brite above) and found some more friends. I even found the Maven herself (minus the red shoes), Kerri in line for a Gyro. Not long after lunch we added Julie, The Cloth Diaper Geek to the party. Later in the afternoon Chris, Mona, and I hopped over to a private event at the Sheraton by iConix – we had nothing better to do! Sponsors of that event included Joe Boxer, OP, Candie’s, and Sharper Images (to name a few). Thursday night was jam packed full of private events that both Chris and I were invited to. We started the evening with the entire gang for the StonyField and Healthy Child Healthy World event (thank you Lori and Micaela for hosting) at a gorgeous restaurant near Central Park. I really wish I hadn’t over committed for the evening because I REALLY wanted to hang out at this party ALL night! Not for the food, not for the swag, but because this is my group of green friends that I’ve been connecting with for more than 3 years. The group is growing and I really wanted to meet some of the newer bloggers in the group. I did make my rounds and introduce myself, I did give out lots of hugs, and took lots of pictures. The pictures don’t look that great because of the lighting and my lack of flash on my ancient iPhone. I did score some awesome StonyField Yogurt coupons before I left (free yogurt for months). After mingling for a while at #SweetSuite we had to make a quick stop at the hotel to unload our newly acquired toy swag (2 bags each) before heading off to Social Soiree. My kids still haven’t seen all the goodies we brought them back from the #SweetSuite sponsors including Hasbro, Alex, Bandai, Lego, and XBox to name a few! Social Soiree was across from the Hilton at the Warwick Hotel. It was nice to just sit and chill for a while. It was also nice to run into some other BlogHer veterans from previous conferences. I loved catching up with Karen (@InTheKitchenKP) and Nikki (@NikkiOnWine). I also enjoyed my brief chat with Hal from the Swagbucks blogger program. I’ve been using Swagbucks for a year now and have earned about $30+ in Amazon gift certificates just by using their search engine. (More on Swagbucks in a future post but if you want to sign up be sure to use my referral code so we can both earn points quicker: http://swagbucks.com/refer/theecochic). The Soiree was kicked out at closing time by the hotel so we had to grab our beautiful Scout swag bag and find someplace else to relax. We decided to hit the hotel and snooze! We were running the BlogHer 5K the next morning at 6am and didn’t want to be miss out. You can see by the pictures there was more fun to be had this past weekend but I’ll save the rest of it for another day! Now that my computer is fixed (thanks Geek Squad Agent Justin) I’ll be playing catch up for a few weeks. I can’t wait to start telling you about the real BlogHer – this was just the warm-up! Want to read more about BlogHer 12? Here are some great posts that I’ve written or been mentioned in by my group of blogging buddies – enjoy!! It was great meeting you last Thursday night. Can’t believe it was a week ago. So nice to meet Chris as well and see how supportive he is of your career. Maybe I’ll see you at Blissdom! Thank you Emily! I am so thankful that I got to spend a little time getting to know you. Maybe at Blissdom I’ll get to slow down and enjoy my connections a little more. BlogHer can be so hectic that you just can’t do it all. Keep in touch! Calley recently posted..Positive Parenting? I have a LOT to learn! I know Brenna, I was just thinking the same thing. We need our own green conference where we can all really have time to connect and get to know one another. I loved looking through all your pics! So glad you were at the Stonyfield party. It was great seeing you at BlogHer! Thanks Lori. I really wish I had more time at the StonyField event to spend with everyone instead of trying to do it all. Much love!! How did I miss this? If I make it to BlogHer in Chicago – I’ll be wearing my shoes. I caught so much flack for not having them in NYC! Kerri (TheMaven) recently posted..Kick start your New Year&#8217;s resolution and save 20% on select items at Best Buy!